National Smallbore Rifle Association: the governing body of British smallbore and air shooting. Muzzle Loaders Association of Great Britain: the governing body of all forms of British muzzle loading shooting. English Twenty Club: the governing body of fullbore shooting in England. British Shooting: an umbrella for all forms of shooting in Britain. British Schools Smallbore Rifle Association: the governing body of school smallbore shooting in Britain. SmallBoreRifle: a resource for .22 prone rifle shooters. 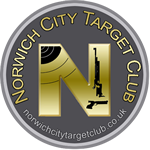 Norfolk Constabulary Firearms Licensing Unit: all you need to know about owning firearms, and downloadable licence application and renewal forms. Active Norfolk: a window to Norfolk sport and physical activity.